There is strong evidence of an overwhelming changing climate. Storms are becoming more damaging and much stronger. Hurricane frequency, extreme rainfall, snowfall, and other events suggest that more vigorous atmospheric circulation and ocean warming are having a profound effect on the weather. The Arctic sea ice is now half as thick as it was 30 years ago. Seals, Arctic foxes, and polar bears are on the verge of extinction. Close to 90 % of the Antarctic Peninsula glaciers and Greenland’s ice are melting rapidly. Due to overwhelming climate change, sea levels have also risen 6-8 inches in the past century. The worlds oceans could rise close to a couple of hundred feet (60-80 meters) if all of Antarctica were to melt. Coastal erosion due to declining sea ice is also forcing coastal towns to relocate. Droughts have become more widespread and frequent due to our changing climate. For example, in Africa since 1970, droughts have increased close to 30%. Warmer temperatures have evaporated available moisture and are drying up marginal farmlands. Additional effects of overwhelming climate change show that glaciers and Arctic sea ice are rapidly melting. The loss of Arctic ice allows oil drillers and fishing industries access to this pristine environment and they are making a mad dash to the Arctic to drill for oil and unsustainable industrial fishing. Many of us want to save the Arctic from companies destroying this unspoiled and essential area. 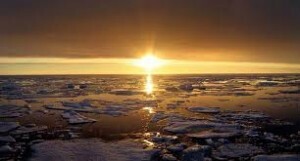 There are over seven billion people on this planet that rely on the sun’s rays reflecting on the Arctic. Weather patterns are shaped by the Arctic and contribute to our health by providing the necessary climate to grow food and prosper in healthy climates. Currently, no country owns the Arctic; however, companies and countries are working at cutting it up in unsustainable ways. The Arctic ice we all depend on is rapidly, disappearing. For the first time since humans walked the Earth, it could be ice free very soon. The loss of Arctic ice and consequences of oil drilling and unsustainable industrial fishing would be devastating for the indigenous people, polar bears, narwhals, walruses and other species living in this region — and for the rest of us, as well. Greenpeace and other non-profit, non-governmental organizations are at the forefront and want us to join them to Save the Arctic. It doesn’t take much effort on our part to sign a petition to show our concern and hopes in saving wildlife from extinction, reducing our carbon footprint, and live more sustainably. After all, we are just borrowing life sustaining miracles from planet Earth. Joining us in our attempt to Save the Arctic is a fine and just effort and commitment to sustain life. The melting ice in the Arctic is threatened from conflict, industrial fishing and oil drilling. You have it in your power to help us Save The Arctic. Our lives depend on the health of the Arctic, but governments and companies want to drill for oil in the rapidly melting waters. 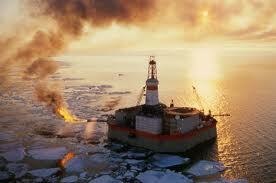 We need to protect the Arctic waters from industrial fishing and oil drilling. What are your thoughts? We want to hear from you. Share your opinion by posting a comment, below. This is pretty scary stuff, George. Worst part is, it would take a huge effort on the part of everyone (here and abroad) to reverse the trend. But, even small changes can help, along with columns like this one which keep the issue in the forefront. Thank you for sharing your thoughts on this subject. The moment we have influential Global leaders (especially highly industrialized countries) accepting their responsibility in aiding and abating global warming activities, then shall we have a breath of sigh. The desire to want to make more money by private businesses and political institutions seems to be the same structures driving the UN systems. The role of the UN system must be seen to be forward looking and sharper teeth to cause to be reduced all activities contributing to adverse climate change. Thank you for sharing your thoughts on this important matter, Aaron! I share in your concern. We really have to educate ourselves as to what is happening and avoid preventable disasters. Because of generations of delay, we have locked ourselves into certain unavoidable climate disruptions. Even if we quit burning all fossil fuels TODAY, global temperatures are still going to rise by at least 2 degree Celsius by 2100 and we are NOT going to quit in the foreseeable future. It’s clear that we are going to have to figure out how to live with a harsher climate. What’s tragic is that we could have avoided this fate. Thanks for sharing your thoughts, Thomas. Debates continue with climate scientists with respect to details on how fast the sea levels will rise, or where the worst droughts may occur. However, climate scientist do not debate any longer that humans are causing the climate change and will ultimately become extraordinarily costly for humans. There’s no silver bullet, but Dr. Stephan Pacala and Dr. Robert Socolow, of Princeton University’s Climate Mitigation Initiative have come up with a “wedge” idea. Their initial article is in the 2004, Science journal. They suggest that we can stabilize, or even reduce carbon emissions now if we focus our attention on multiple modest strategies. I ‘ve delivered lectures on these problems for many students and the public when I worked for a non-governmental environmental organization about 8 years ago. I’m afraid that the situation has been steadily and rapidly getting worse over the past years. I have to agree with you in that our changing climate is causing many adverse conditions, Choi, Won-Sim. Some of the causes of this drastic climate change is anthropogenic and preventable. There are ways to correct our course. Restricting oil drilling and unsustainable fishing is one way we can change our direction. Signatures on the petition I displayed above will help get our message to people who can facilitate positive change. Healthy Habits with George Zapo appreciates your generous donation! Copyright © 2008-2019 Healthy Habits with George Zapo. All Rights Reserved.